In 2010, rock band The National were about to embark on the biggest tour of their career. After ten years as a band, and five critically acclaimed albums, they were finally enjoying wider recognition. 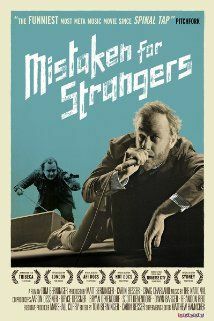 Lead singer Matt Berninger invited his younger brother, Tom, to join the tour's crew. A budding horror filmmaker, Tom - who is nine years younger than Matt and listens exclusively to heavy metal - decided to bring his camera along. Tom's at sea in the world of indie rock, and living in his brother's shadow brings out the younger sibling in him - he drinks, complains, and struggles to balance his ambition with his tour responsibilities. The result is a film about brothers and about making something of your own.